The process of resting, cleansing and nourishing the body has been practised in Ayurveda for centuries so let us not think that detoxification is a new age find. Detoxification gives your body a new lease on energy and vigour as when you eliminate toxins and remove them from your body and provide your body with healthy nutrients then your body’s ability is renewed. How can you tell that it is time for a detox? It is imperative that all of us give our body the cleansing it needs and the present day scenario with increasing number of toxins adds to the necessity of doing so. Elimination of toxins is also done via the kidneys, skin, intestines, lungs, lymphatic system. The problem begins when these organs/systems are compromised, and the impurities are not filtered out in a proper manner which in turn has an adverse effect on the body. Researchers believe that the process of detoxification works because it targets individual cells and takes care of their needs. As they say, the best place to start is usually at the beginning, and that is what you need to do to eliminate and decrease the toxin load. Which means NO TO alcohol, refined sugars, cigarettes, saturated fats. Use natural alternatives for your cleaning processes like shampooing, brushing etc. Distress by meditation or yoga as stress is another way of adding toxins to your body. There are plenty of detox diets and programs going around choose the one that suits you and then go for it. Give your body plenty of fibre from naturally detoxifying foods like beets, radish, artichoke, spirulina etc. Hydrotherapy hot shower for 5 minutes followed by cold for 30 seconds repeat thrice and get into bed for 30 minutes. If you want to give your detox plan a boost, then you do not need to look far as turmeric in your kitchen has the answer. Turmeric gets its pharmacological and therapeutic properties from Curcumin, but the traditional turmeric does not give us the right amount of curcumin. In that case, one must look for curcumin supplements which are available, and you can find yours online. While looking for a curcumin supplement be sure to take one that has black pepper and fat as ingredients as black pepper aids the absorption of curcumin. How does Curcumin help in detox? 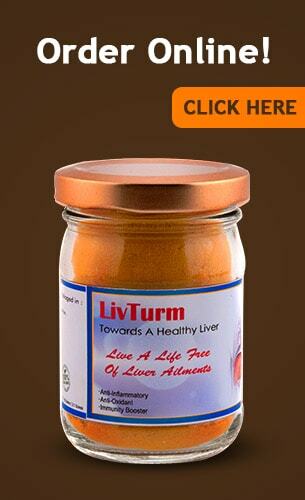 Our liver plays an essential role in the detox process, and Curcumin destroys the toxins and bolsters the liver health. The LDL receptors are given an additional push as their production is enhanced which enables the cholesterol clearing from the body. Curcumin gives the liver health and functioning a big boost; it enhances bile production of bile as it increases the cleansing process by accelerating the disposal of toxins. Curcumin checks and inhibits oxidative stress because of its anti-oxidant action. Curcumin also helps remove the heavy metal toxins from the body owing to its potent and dynamic anti-oxidant action and chelating properties. Curcumin has the efficiency to remove the harmful effects of stress and hasten the detox process. Toxins like heavy metals are removed from the body because of Curcumin as it is an active participant in the detoxification process. While it works on cleansing process curcumin ensures that toxins and alcohol do not get converted into harmful compounds that can cause damage to the body. Curcumin enhances the production of glutathione which is a powerful detoxifying agent. Being a natural analgesic Curcumin provides relief from bloating. 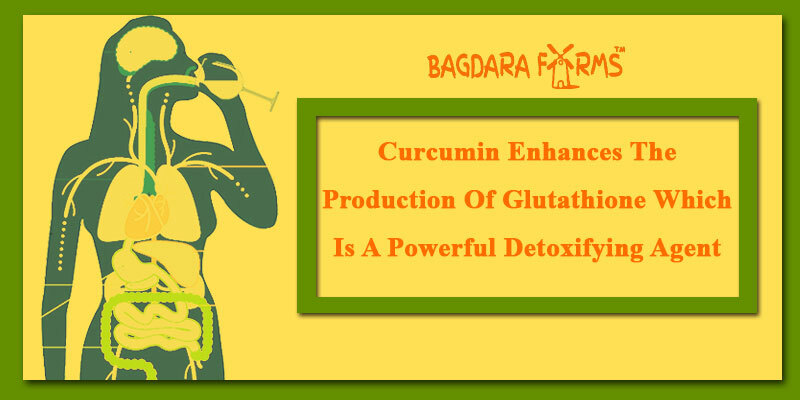 When you are looking for the perfect curcumin supplement that will help you detox Livturm from Bagdara should be your first choice.